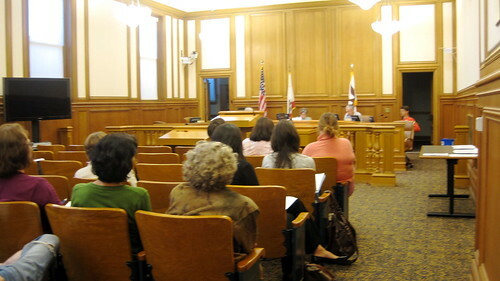 Debates on ineffective animal behavior assessments, housing animals from other counties, and cats, were the primary focus of last night’s San Francisco Commission of Animal Control & Welfare Meeting. The meeting discussed the “No Kill” policies in San Francisco Shelters, which has been referred to as “Live Release” in previous agendas. The policy aims to ensure that no adoptable animal (including the ones that require medical or behavioral attention) be euthanized in San Francisco shelters. The Commissioners posed many questions to the public in regards to this policy. But the most popular, by far, questioned the behavior testing of animals in shelters. In order to be adopted, animals must pass a behavior test. The methods used for this test very within each shelter. Questions posed by the Commission in regards to this policy were, who decides what animal behavior is deemed unacceptable or acceptable? If there are different standards for these tests, how is it possible to integrate them into the No Kill mandate? Is it possible to establish criteria that all tests and testers can follow? The public had a strong reaction to this issue, essentially deeming the behavioral tests not only ineffective, but also ridiculous. (Cats) need behavorial tests of how they would be treated at homeA member of the public who shared this sentiment was Laura, who formally worked with behavioral cats at the SPCA and now works to socialize cats at ACC (Animal Care & Control). Laura stated that the cats are jabbed with a stick that has an assessing hand at one end: “Cats will not respond to that. They need behavioral tests of how they would be treated at a home.” Laura suggested petting, hugging, or talking to the cats to analyze their behavior, instead of using a stick to provoke them. Another member of the public from Give Me Shelter (givemesheltersf.org) referred to the tests as “archaic protocols” that were ineffective and do not give animals a fair chance. Nadine May, another cat volunteer, remembers a 4-month old cat failing a behavior test, a story that drew laughs of disbelief from the public. All three women agreed that they too would fail these behavior tests if they were cats. Another issue posed by the Commission that evoked passionate comments from the public was whether or not animals from other counties should be brought into San Francisco for adoption. Is it acceptable for animals from other counties to be adopted before San Franciscan animals? The public had a unanimous opinion on this as well, stating that animals in San Francisco should be taken care of first, without exceptions. Laura agreed, saying, “We can only control what happens within out city. We should take care of our animals first.” Laura also stated that only 500 cats a year are let out of shelters. The Commission also discussed creating a new nonprofit (or appointing a current one) to oversee the No Kill project and ask other organizations for grants. Commissioner Padilla, who has been leading discussion on the No Kill policy, was not in attendance last night.